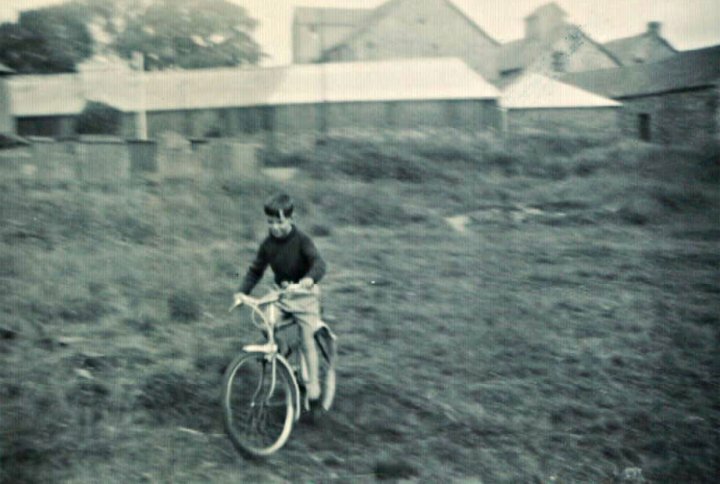 This photograph was taken in 1962 or 63 in the area between the houses of Fair View and the River Yeo where the Fair View Car Park is in 2014. We understand it was then called Murray Fields. The young boy is Peter Newcombe, age 6 or 7, the uncle of Gill Madge (nee Newcombe) daughter of his brother Colin. The walls in the left background are the back of the Fair View houses. The buildings in the background - where Kirkhams are today - have now been demolished. Thanks to Gill Madge who posted the photograph on Facebook.